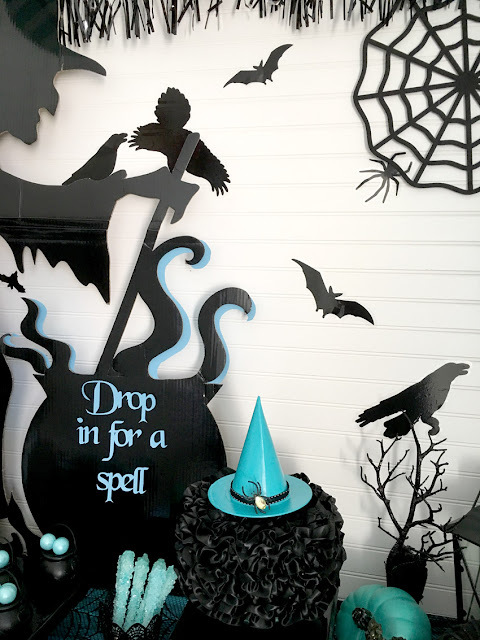 Drop in for a spell.........I concocted this fun Witchin' Good Time Halloween Party with the help of, Oriental Trading. 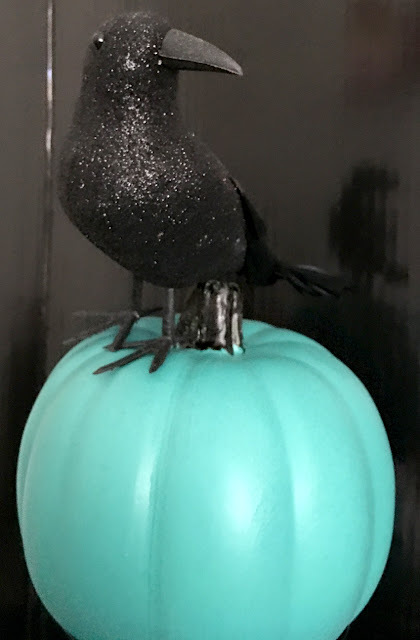 Halloween may traditionally be all about black and orange, but this year I added a fun twist and threw in turquoise! 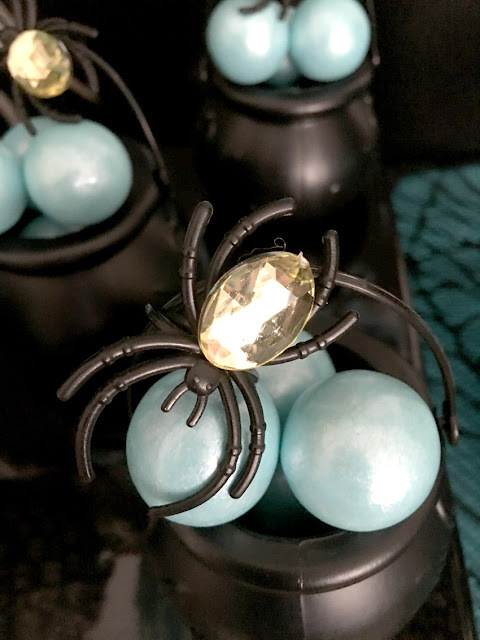 The spider web covered dessert table is frightening fun and oozing with some witchin' good inspiration! 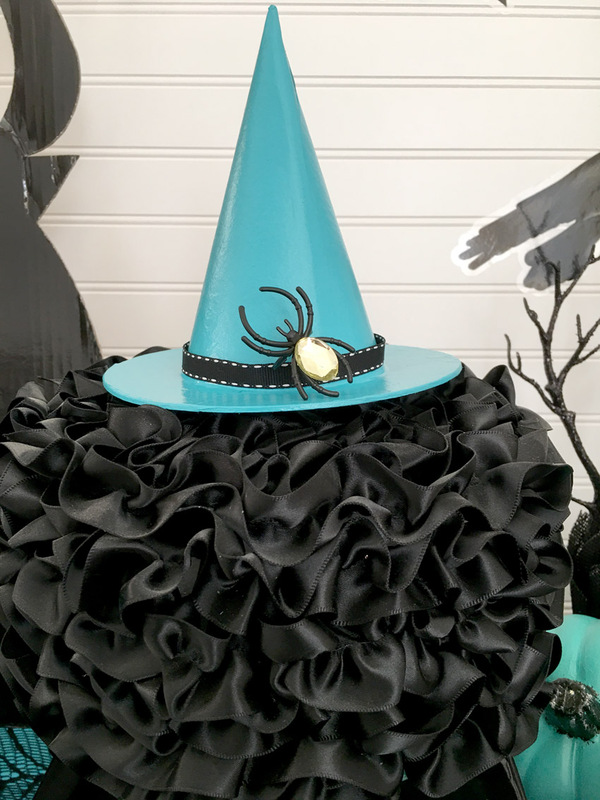 All to often Halloween is decorated with scary elements, but for this Witchin' party, I wanted to make it fun and kid friendly. 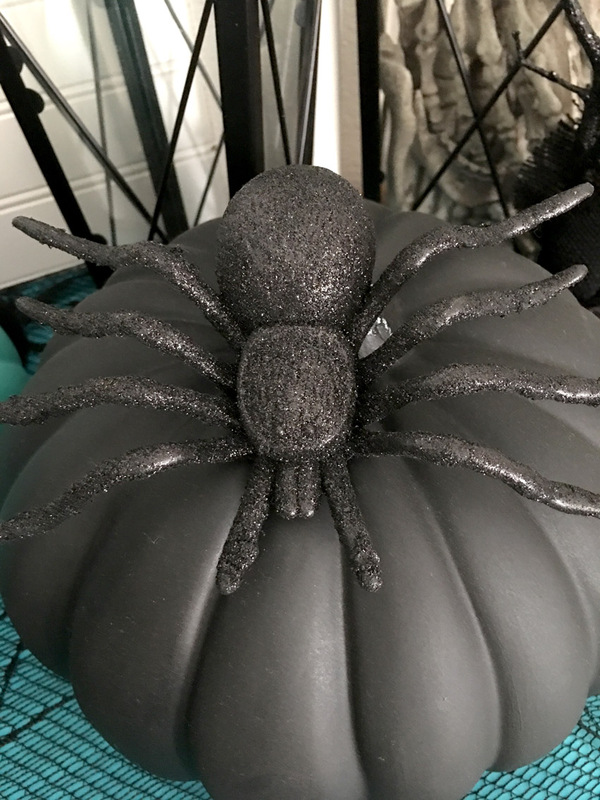 My family loves celebrating Halloween but not necessarily in a scary way! 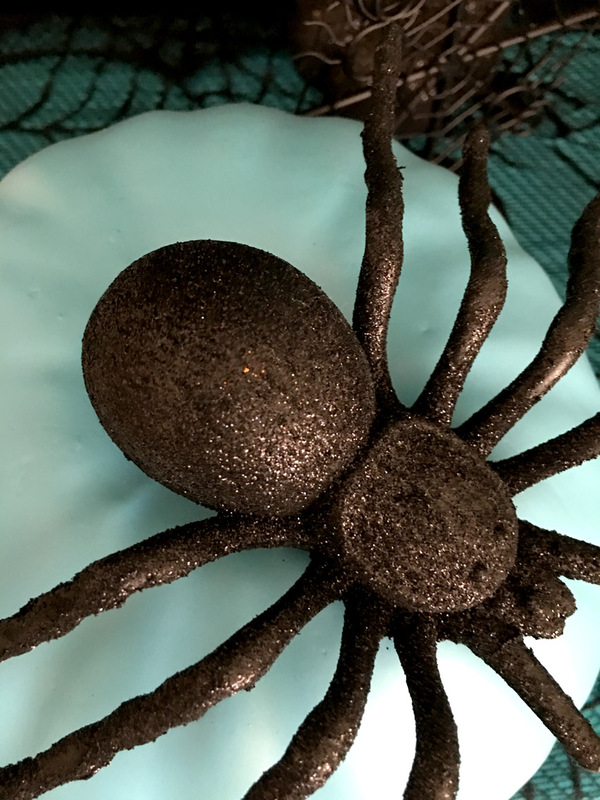 Here's how to make your party a success. I always like to start with the design of the invitation and work off that as I create and style the party. Ask your guests to dress up in the theme, this helps them really get into the fun of the party. If you host a witches party, this costume is pretty easy to throw together! 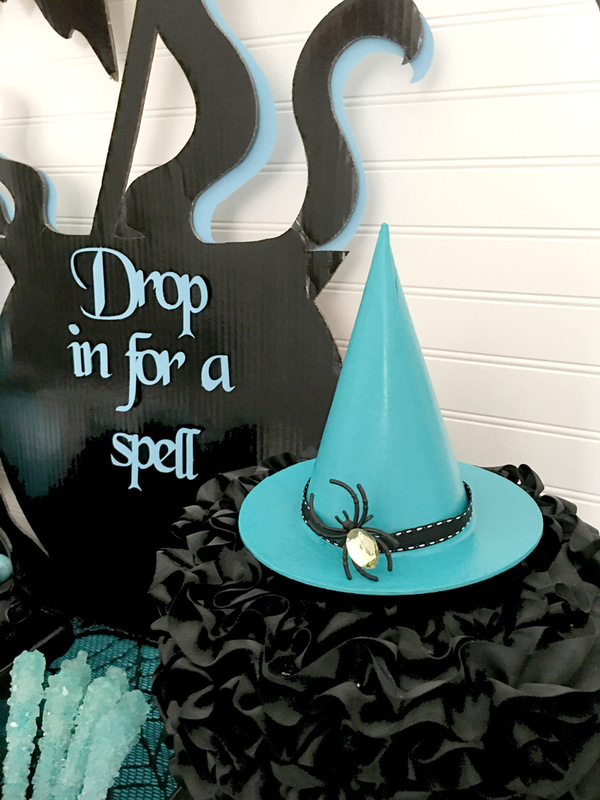 All you need is a witches hat, a black dress and some fun shoes. One of my favorite details is the ribbon cake I made with beautiful black ribbon. If you are interested, I will create a tutorial so you can make your own. I first introduced it to you here. Shop your home, your friend's and relatives! You will be surprised at what you can find. Almost everything shown is what I had on hand, I borrowed or made. 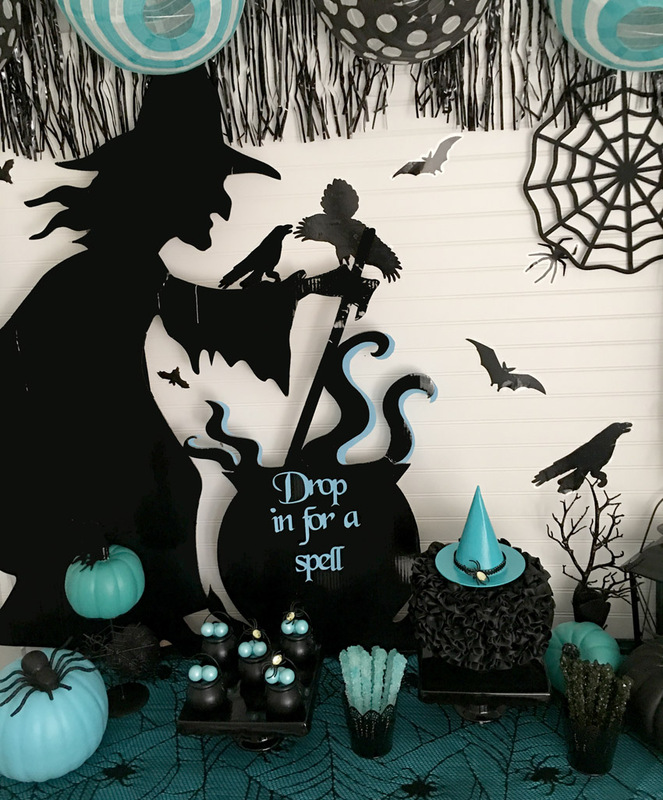 The witch with cauldron set the tone for my backdrop and I love it! It is incredibly visual and striking! 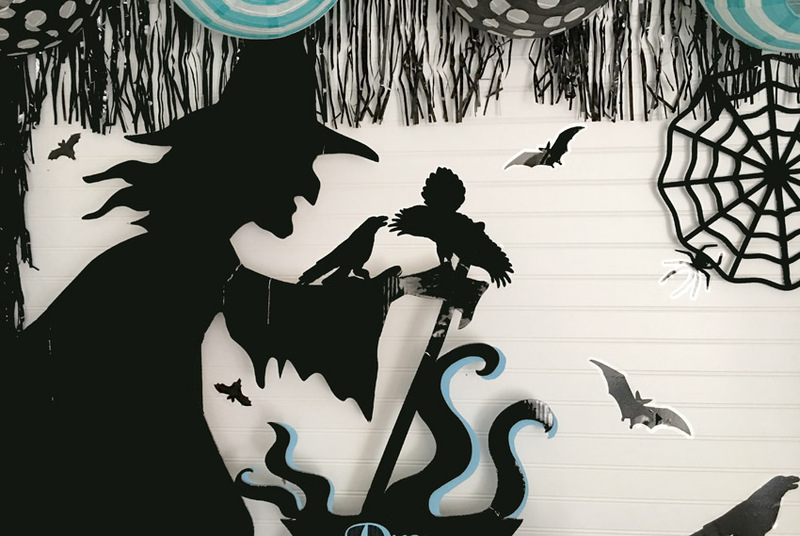 I used the Halloween Silhouette decor kit and embellished my backdrop wall. 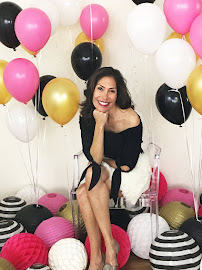 I wanted to add some color to the top of the backdrop, which I did when I hung the colored paper lanterns. 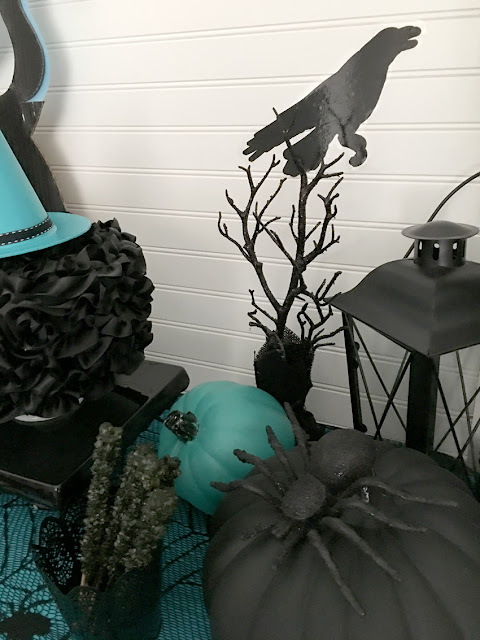 The fun black fringe gave it a spooky feel. 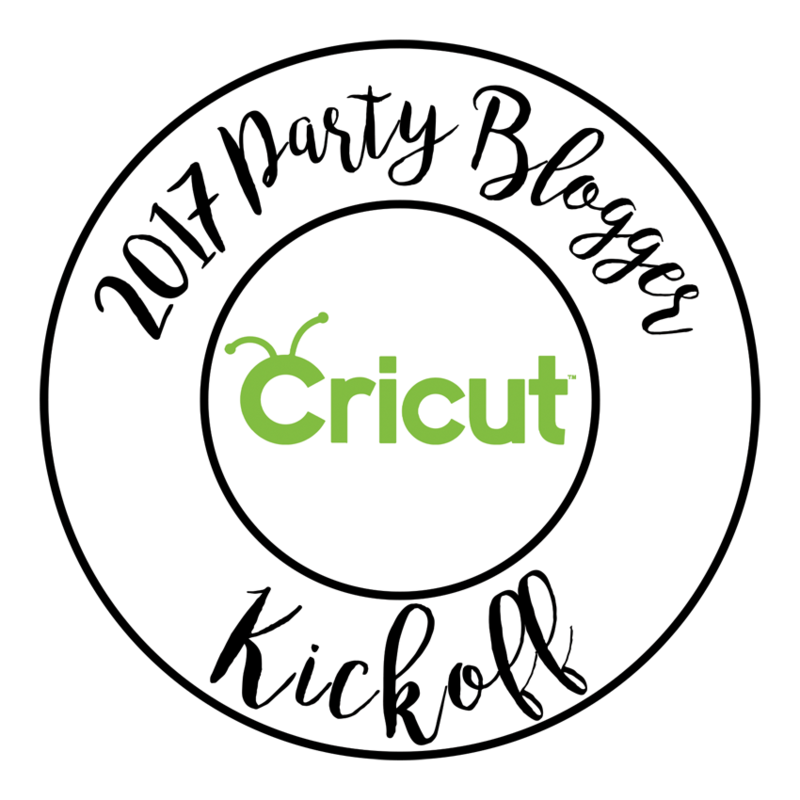 You know how much I LOVE my Cricut! 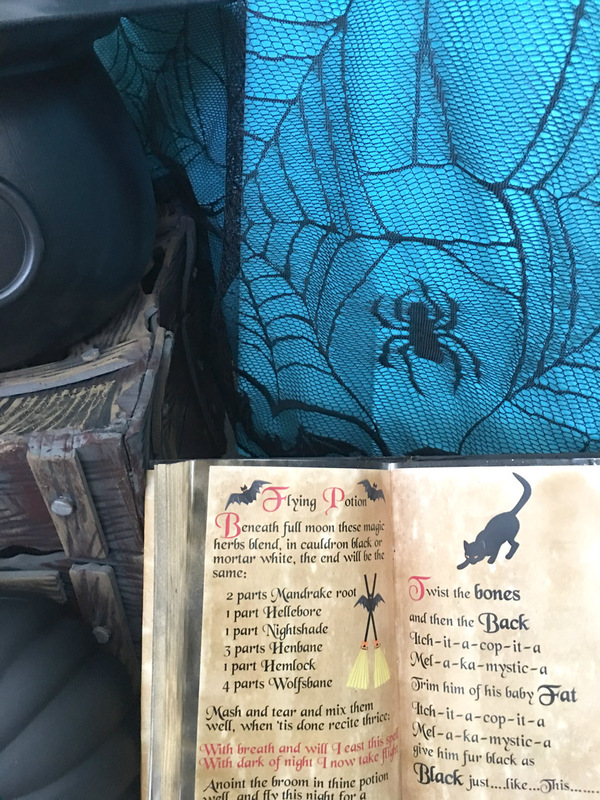 I used my Cricut Explore Air 2 to cut out "Drop in for a spell" and used the same colored paper to cut out flames for the cauldron. Adding decor to match your theme is very important, it ties everything together. The black and turquoise pumpkins are perfect for this party! You can't have a witches party without a spell book! You can find the tutorial here + FREE printable! Are you ready for Halloween? 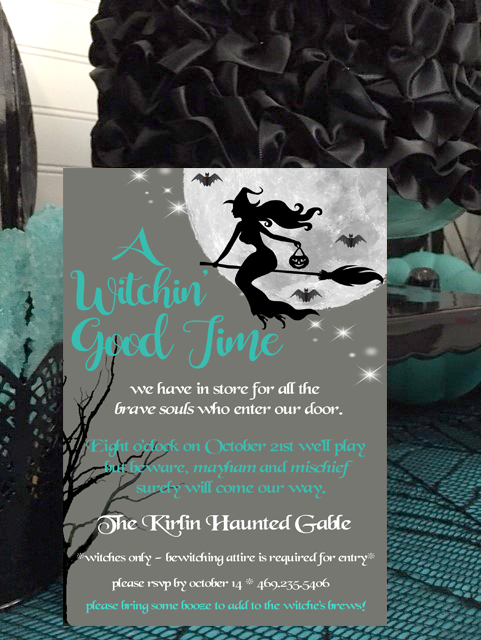 I hope this party gets you excited to host your own Witchin' Good Time party! The links in the post contain affiliate links and I will receive a small commission if you make a purchase after clicking on my link.